A warm and inspiring learning environment. Do you have a musical child? Instrument lessons are a great way to start cultivating a lifelong love of music. In addition to learning a rewarding and fun instrument, studying music enhances skills such as problem solving, critical thinking, creativity, goal setting, fine motor skills, listening, body awareness and dedication. Teens are at a developmental phase in which they begin to discover activities they are passionate about. Playing music as a teen is a great way to encourage positive self-expression as well as socialization with other teens. 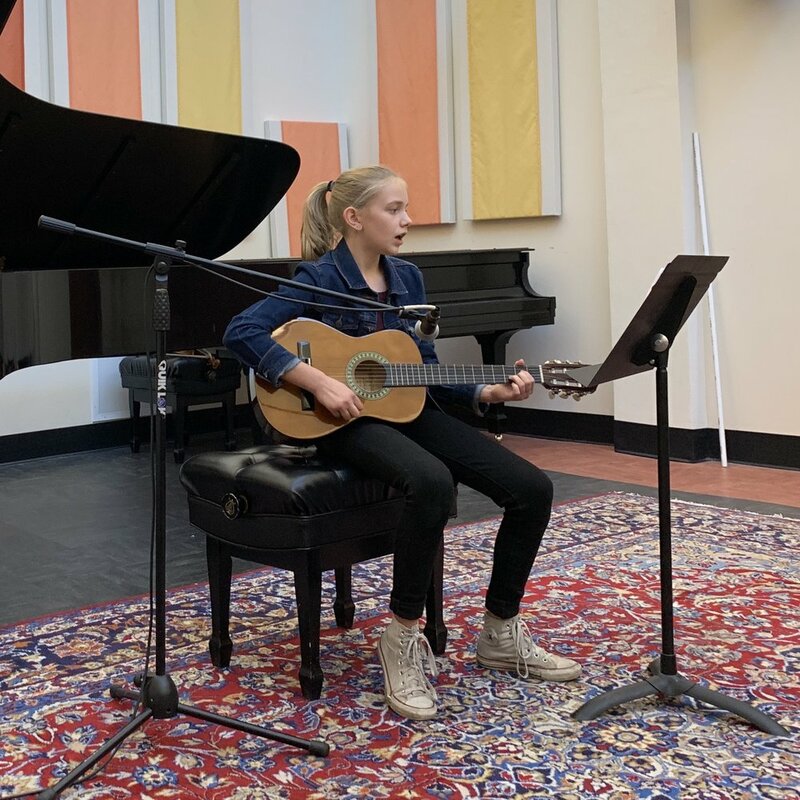 Between workshops, recitals and other events throughout the year, your child will have ample opportunities to perform as well as meet other young musicians. Have you always wanted to learn how to play that piano sitting in your living room, or that guitar hidden in its case? Did you take lessons as a child and now want to rekindle your passion for music? Here's the good news: it's never too late to start playing an instrument! Whether you're 25 or 65, you can learn to play the music you love - anything from Bach to Bill Evans. Many adult students at Vesper School of Music choose to have a one hour lesson every other week. This allows for students' busy schedules as well as a more relaxed and in-depth lesson experience. Whether you are interested in honing performance skills or are simply studying music for pleasure, playing an instrument is a very rewarding pastime.